WHISTLER, British Columbia — Before this year, I was a Whistler skeptic. I had always known that Whistler Blackcomb was supposed to be great — I just never had a great day there. Over the years, I visited several times during a variety of storms and dumps, only to find the best terrain — in the alpine zone atop this sprawling, 8,171-acre behemoth — closed. I had never skied Blackcomb Glacier, never seen the wide-open bowls of 7th Heaven, never been up Whistler’s harrowing Peak Chair. 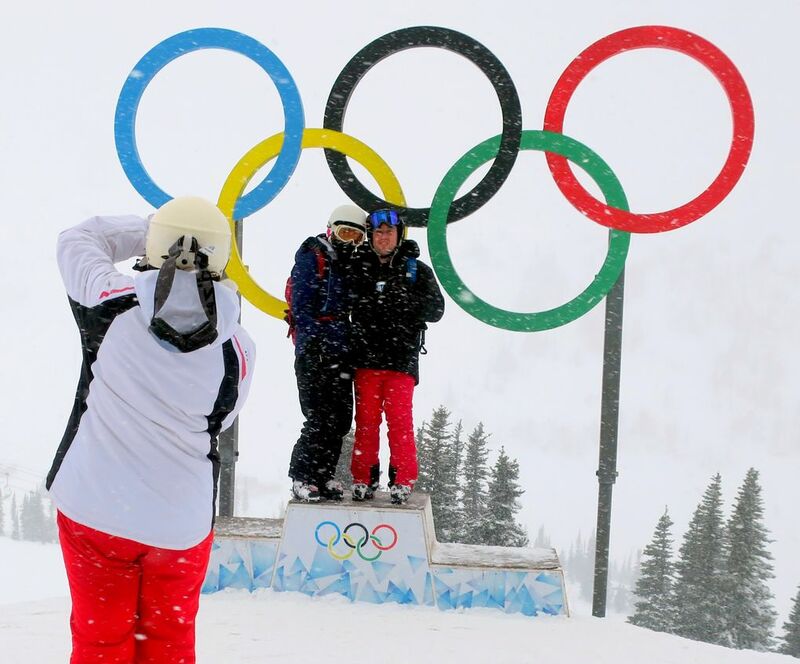 My bad luck had me questioning whether Whistler Blackcomb deserved its perennial ranking among North America’s best resorts — right there with Jackson Hole, Sun Valley, Alta/Snowbird, Aspen and Vail. Then it happened. During a visit in January, I finally saw what all the fuss was about. Yes, this place is amazing. Instead, I got lucky. It was dumping and 16 degrees on top of 7,160-foot Whistler Peak, but all chairs in the alpine zone were open. I quickly came up with a plan to spend the entire day skiing across the top of the resort. 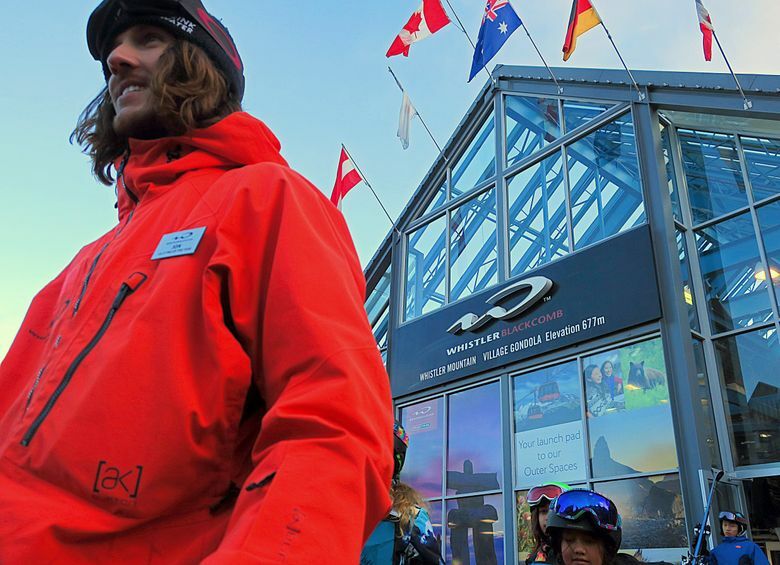 “The alpine experience at Whistler Blackcomb is unique in North America,” said Marc Riddell, a former ski patroller and now communications manager at Whistler Blackcomb. The scenic terrain above tree line “feels like you’re skiing in the Alps,” he said. That may sound like a slogan for Canada’s soon-to-be-legal cannabis industry. The idea: Once you load in the village at 2,200 feet and get to the alpine zone at midmountain, don’t waste time skiing back down to the valley floor. This place has more than 5,000 feet of vertical, and it takes a long time to get all the way to the village, where you’ll often encounter long lines. Instead, make the midmountain your low point. Twelve restaurants, lodges and huts are scattered around the resort, so you won’t go hungry. Most people make the mistake of riding the Whistler Village Gondola first, and that leads to long waits. 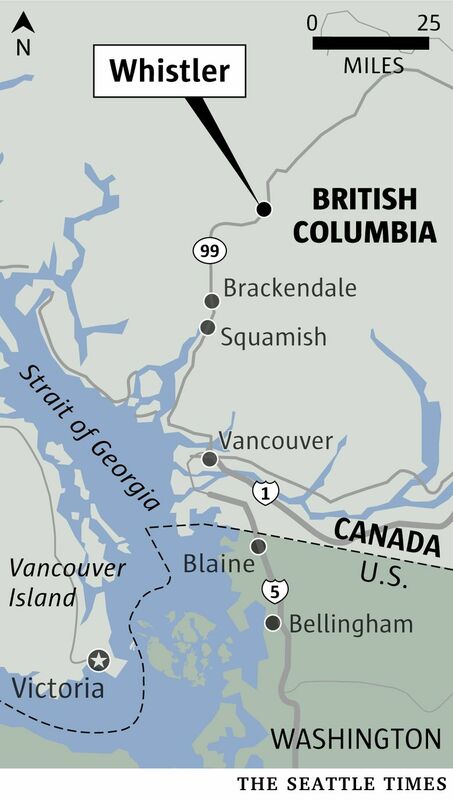 Instead, take the Excalibur Gondola to Blackcomb and make your way to the Glacier Express. From there, you can reach three different chairlifts. Be ready by 8 a.m. to load. 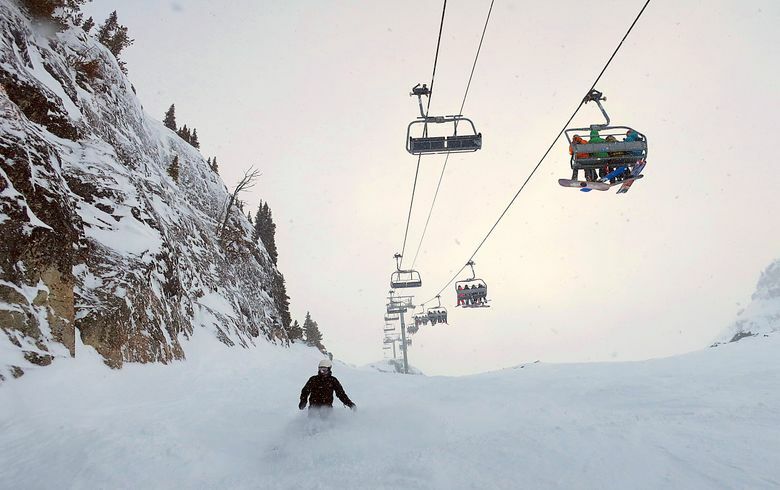 Resort lifts, scheduled to start loading at 8:30 a.m., often open early. 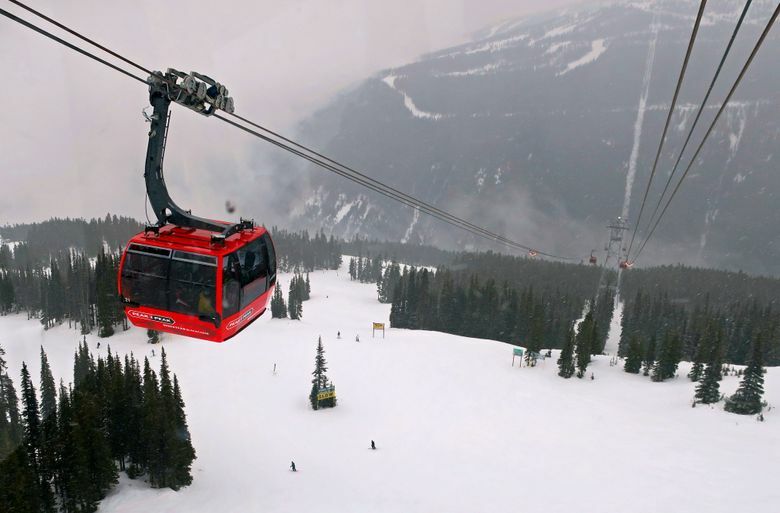 No getting around it: Whistler Blackcomb can be busy, particularly on weekends. Combat the long waits by loading in the singles line. The singles line moves along swiftly and — bonus — you often meet some very nice people. I found myself riding with three Canadians on Blackcomb’s Glacier Express lift. In the stormy, low-visibility light, I told them I wasn’t sure where I should go, so they invited me to join them for a run on Blackcomb Glacier. What an experience. The expansive glacier was filled with fresh, untracked powder. 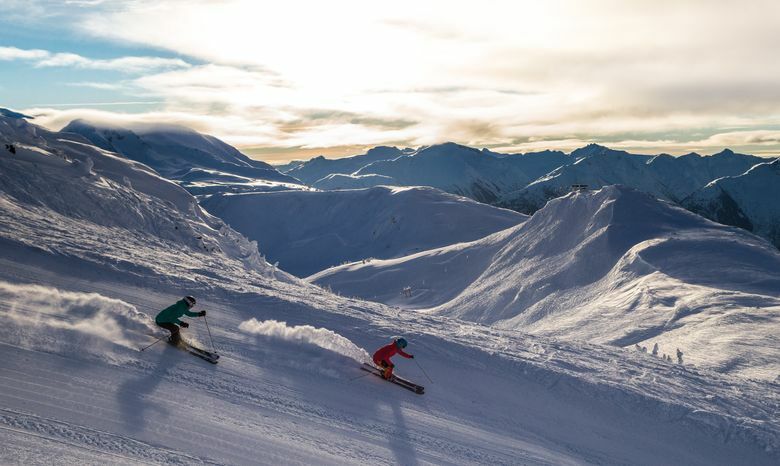 One of the great things about Whistler Blackcomb’s alpine zone is that it’s not just for expert skiers. Sure, there are many YouTube-worthy cliffs and chutes, but you’ll also find a lot of intermediate terrain in drop-dead beautiful settings. The most scenic is off 7th Heaven Summit (7,494 feet) on Blackcomb. Wide, south-facing slopes make this a gorgeous place on sunny days. You can traverse for what seems like miles into the Lakeside Bowl under stunning Blackcomb Peak, or cruise one of many blue runs facing Whistler Peak across the valley. 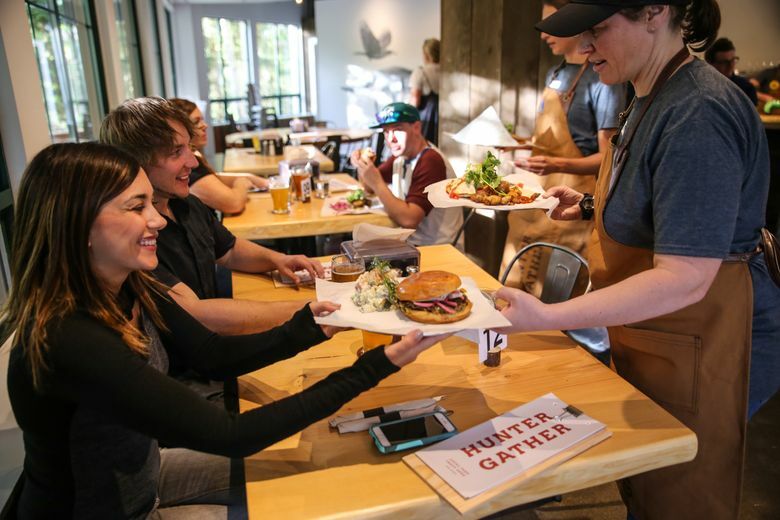 Apologies to anyone who loves hanging out in a busy lodge for lunch, but that’s not my thing. Instead, I like taking the Peak 2 Peak Gondola for a lunch break. The resort’s iconic mountain-to-mountain gondola is a great journey, traveling nearly two miles between Blackcomb and Whistler, dangling 1,427 feet above the valley floor. In this age of multitasking, you have to love an 11-minute ride where you can check your phone, eat a sandwich and above all, take in the amazing views. Two alpine zone chairlifts are waiting to be explored on the Whistler side just across the valley from Blackcomb: The Harmony 6 Express and the Symphony Express. Both offer primarily intermediate skiing in picturesque settings. Of the two, spend more time on the Harmony lift, which is longer and has more vertical and terrain. Some of my favorite runs of the day were off of Harmony Ridge, falling back toward the chairlift below. The Peak Express has attained legendary status among skiers. This lift, to the top of Whistler Peak, ascends rocky cliffs and chutes and is downright scary. 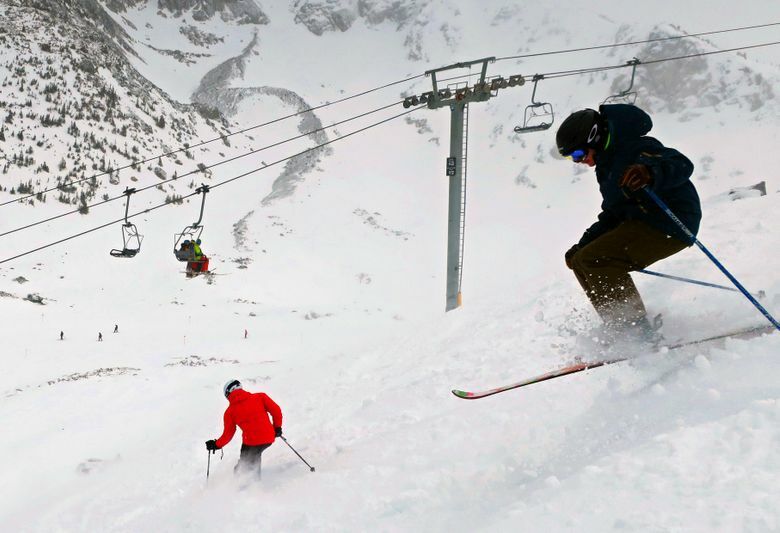 Experts will want to try one of many double-diamond runs off the top. I was lucky enough to hook up with a Whistler local who showed me how to access the West Cirque, my favorite run of the day. But cliffy drops are not the only thing Whistler Peak has to offer. 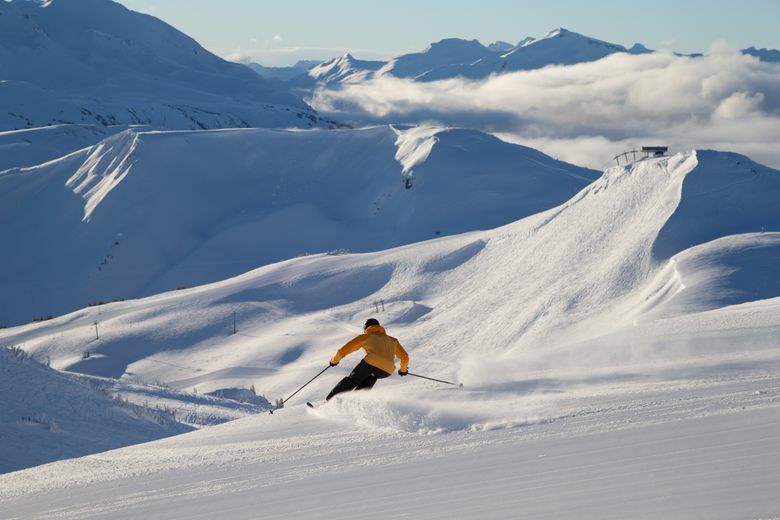 Intermediate skiers will want to try Whistler’s iconic Peak to Creek run, a nearly seven-mile thigh-burner that travels all the way to the Creekside Village, a 5,000-foot vertical drop in one shot. Not a bad way to finish a trip across the alpine zone. • MORE INFORMATION: Find trail maps and more at whistlerblackcomb.com. For regional lodging and other travel: hellobc.com. John Nelson is a freelance writer based in Seattle. He blogs at ourgrandtour.net.